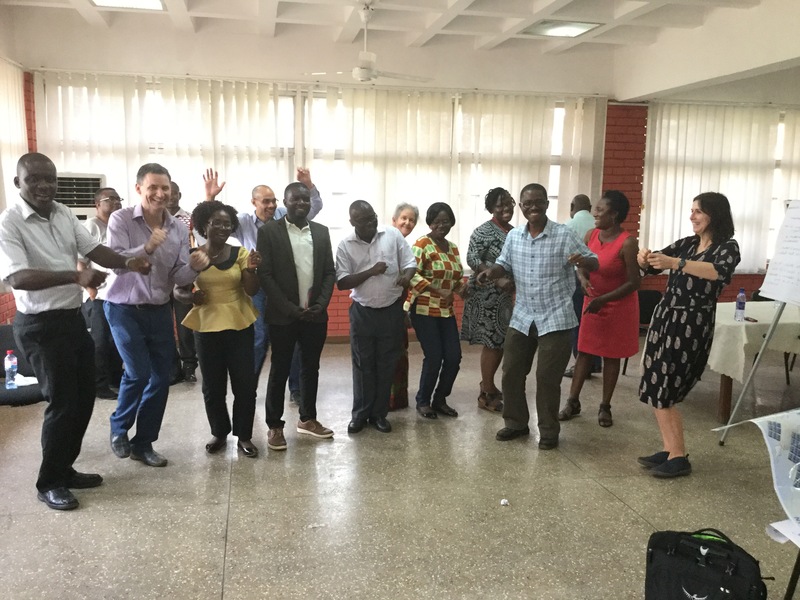 Participants in Ghana celebrate the end of a productive and inspiring two days. 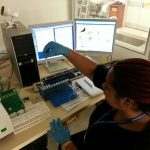 Sustainable access to cutting-edge research information is essential for any strong research and knowledge system. Strengthening southern library consortia has been an important component of INASP’s work for many years. 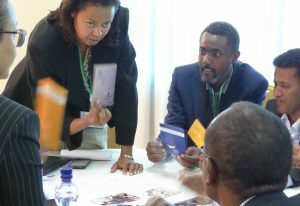 ‘Leading in the Library: A learning lab for sustainable access to knowledge in developing countries’ is a collaborative partnership between INASP and Caplor Horizons working with library consortia to inspire organizational change. 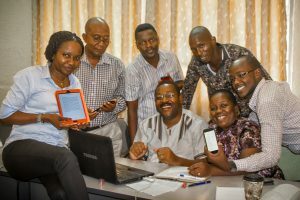 The project helps strengthen leadership, strategy and influencing skills by providing space for blended learning, where a combination of online, face-to-face and other training approaches are used. 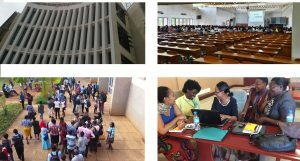 This work will strengthen the organizational effectiveness of institutions (library consortia) that play a pivotal role in the knowledge economies of Ghana, Kenya, Zimbabwe and Uganda by enabling access to cutting edge research from around the world. The ‘learning lab’ is an iterative and constantly evolving approach. It requires a great level of flexibility by the team to develop and adapt the project as it develops in unique ways in each country. 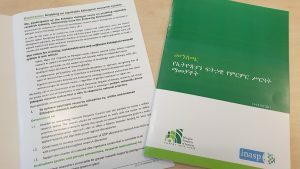 However, being able to respond to these emerging themes and challenges is what provides an added dimension of depth and alignment with local needs.